Bioproduction is defined as aproduction process for energy,chemicals and pharmaceuticalsusing biomass as raw materials and enzymes as catalystsand microorganisms as the cell factories. The coretechnologies and fundamentals are the effective and efficiency ofthe microorganisms as the cell factories and enzymes as biocatalysts,complemented by fermentation processes and skills. Using technology obtained from pathway engineering, syntheticbiology and systematic biology, we can significantly reduce the costs ofproduction alone with modifications of metabolic pathway of microorganisms and with improvement of the production yields and conversion rates for target products. Currently, Vland Biotech Group has improved production microorganisms(cell factories) such as Trichoderma, Aspergillus, Pichia and Bacillus throughdifferent molecular techniques. We deleted unwanted genes, modified pathwaygenes, increased transcription of genes, improved translation of messenger RNAs and intensified transportation and secretion of proteins. As a result,production yields have been largely improved and production costs have beengreatly reduced. A major biotechnological advance for bioproduction has beenthe use of enzymes as catalysts for bioprocesses to convert biomaterials whichare hard to be digested by microorganisms, to bio-available simple materialssuch glucose and amino acids which can be readily utilized by the microorganisms.For example, high efficient cellulases can convert celluloses andhemi-celluloses from corn stalls to glucose and xylose, which in turn providefeed materials for the microorganisms to produce different products or providesubstrates for chemical synthesis. In the processes of bioproduction, thecatalytic activities and efficiencies of enzymes play key roles in theproduction processes and the products. Using technologies of chemical engineeringand culture condition optimizations, we can improve yields of targeted productsand can increase capacities of fermentation. 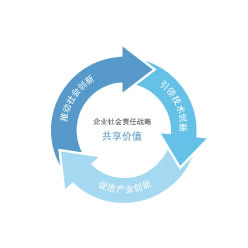 Using mathematic modeling, scaleup and scale down fermentation processes engineering and optimization of largescale fermentation perimeters, we are moving our targeted products toindustrial scale production much faster than before. By using feed optimizationwith different carbon sources, we increased surviving rates at laterfermentation stages for our Pichia production host and improved its physiological condition,which resulted in a 30% yield improvement of a desiredproduct. Through selection and optimization of new inducers and the intensify transcription promoters, we improved our production titers and yields for our Trichoderma host. Meanwhile, the fermentation time has been shortened by 15% and capacity is also increased.